92.7 percent of all new vehicle models as of May 2018 had at least one advanced driver assistance system as an option, AAA reported last month. Unfortunately, OEMs vary on what they call the technology, which AAA argues makes it difficult for consumers to understand what features exist and what they do. This is likely to create hassles for collision repairers, whether they’re researching how to properly restore these systems or merely communicating this work to an insurer or consumer. 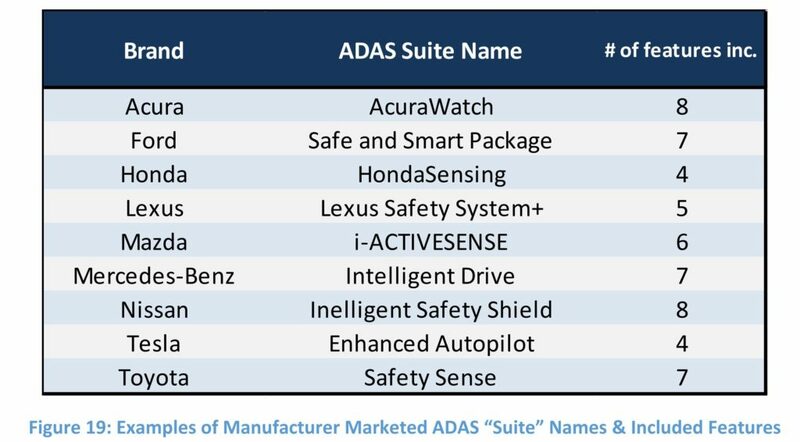 AAA’s study of 34 vehicle brands found autobraking had the most unique names of any ADAS feature, at 40. Adaptive cruise control and what AAA prefers to refer to as “Surround View Camera” — a 360-degree view around the vehicle created by exterior cameras — tied for second at 20. 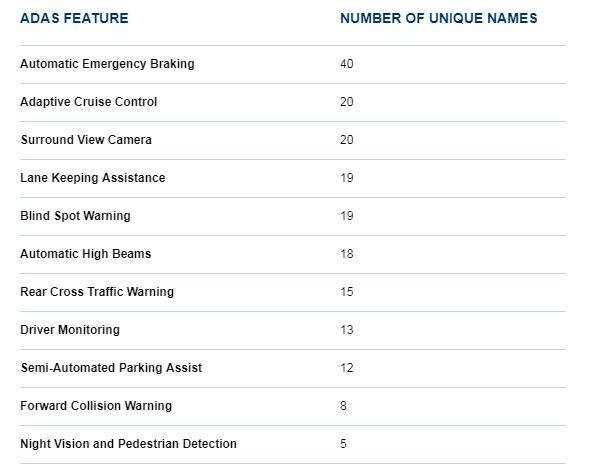 Lane-keeping and blind-spot warnings placed third at 19 different OEM names for each. “Further complicating the issue, regulatory bodies and automotive standards organizations such as NHTSA and SAE have used multiple unique names such as collision imminent braking and forward collision mitigation systems to describe automatic emergency braking,” AAA wrote in a recent report. AAA warned that certain brand names could lead consumers to think their vehicle has powers it doesn’t. 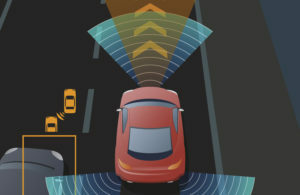 Consumer Reports issued a similar warning in a recently updated introduction to an effort by it, AAA, the Insurance Institute for Highway Safety and others to develop standard generic names for ADAS. “This is not a frivolous issue of semantics,” a quartet of authors wrote for Consumer Reports. “Clear terminology is critical to a consumer’s ability to make an informed purchasing decision, both when shopping across brands and when finalizing a purchase. We have heard accounts from consumers who purchased vehicles that they thought had specific advanced driver assistance capabilities only to figure out later that they did not. Consider how dangerous this can be. “Clear terminology is also critical to the safe use of advanced driver assistance systems. If a driver does not have a clear understanding of the function and purpose of a certain technology, he or she could wind up over-relying on it, turning it off, or overriding it in a critical situation. See AAA recommendations for standardized names and definitions here. Standardized terms could help estimators and technicians “speak the same language” when describing work to customers or insurance carriers. But they also could make life easier when a shop tries to look up these terms or encounters them in a repair manual. If you’re attempting to search for “autobraking” but the OEM calls the system “Super-Mega-Crash-Assist 5.0,” your searches of repair procedures could come back negative even if you know the tech exists on the car. A shop’s not completely helpless, however. Build data from an OEM VIN lookup might keep a repairer from having to guess which technologies are on the car and what the automaker calls the ADAS in the repair procedures. Even if you don’t know what the highfalutin name for a piece of technology means, that name appearing on an official build data list for the customer’s car at least would confirm a) it exists on the vehicle and potentially must be fixed, and b) what search term to input to learn about it. OEM instructions also can help shops deal with the ADAS Babel if the automaker is one who includes a note (even better, a link) to look up procedures for associated technologies. If you’re doing a bumper R&R and encounter in the manual a hyperlinked reference to “See also Calibration of Super-Mega-Look-Assist 5.0,” you at least can look up that procedure and start learning about whatever that system is. Finally, I-CAR also can be a big help here. 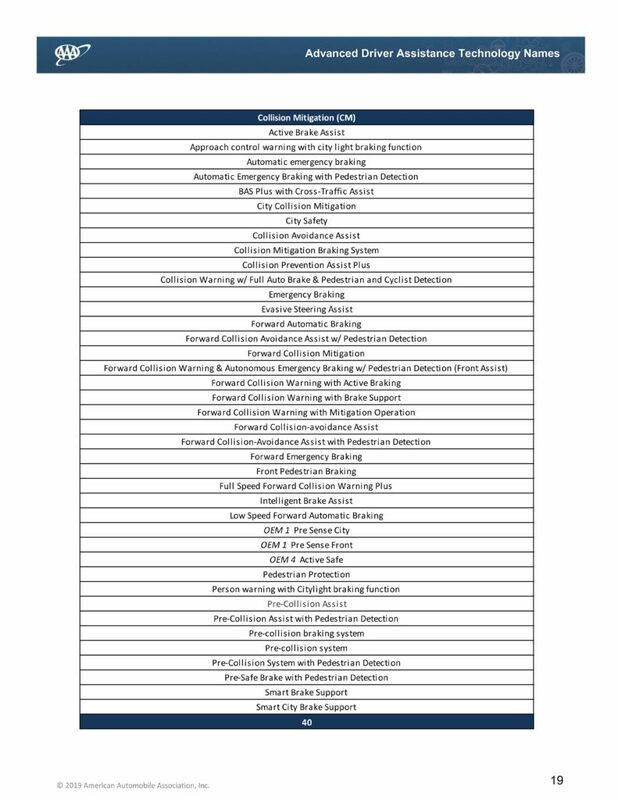 The educational organization has collected information about some, though not all, late-model vehicles with ADAS and posted it on an OEM Calibration Requirements portal. While this won’t be the same as having OEM information and build data, the Repairability Technical Support feature can confirm that a particular ADAS system was at least available on that make-model-year. I-CAR also addresses the ADAS Babel by listing both its own generic term and the OEM’s specific name for that piece of technology. In fact, I-CAR even can tell you the OEM name for certain calibrateable parts within a system, such as a control module or sensor.